Learning to drive is not that difficult. Most learners can pick up the basic skills fairly quickly. But learning to be a driver is far more complicated. Are you ready to be a driver? Can you learn the skills it takes to be a good driver? This web page will help you find out the basic information for starting out as a learner, taking the test and becoming a good driver. You can start learning to drive as a passenger by looking at what's going on around you. Look out for traffic signs and markings - do you know what they all mean? Think about speed and distance - how close is the car in front? Is there enough time for the driver to stop? Check out stopping distances in the Highway Code. Look out for other road users, especially pedestrians and children - can you tell what they're about to do? Apply for a provisional licence by completing the application form (D1) available from most post offices. Send it with the fee and passport sized photograph to DVLA, Swansea, SA99 1AD. You can be taught to drive by friends or family but most people choose a professional. Approved Driving Instructors (ADI's) are the only people who can charge for driving lessons. Learning to drive can be stressful, so choose a supportive instructor who provides structured lessons. You can take one or two lessons a week or take an intensive course. The advantage of planned, regular lessons over an intensive course is that you will get the chance to practice under a range of driving and weather conditions. Getting extra practice is definitely a good idea, whether it's with someone in your family or a friend who's an experienced driver. It's best to check with the driving instructor when you are ready to do this. Every car is different and may take some getting used to. Remember - only driving school cars have dual controls. Any accompanying driver must be at least 21 years old and have held a full driving licence for at least three years. Check that you're insured to drive the vehicle on the owner's insurance. This is only the beginning. Taking the tests does not give you experience; they are just the first steps. Theory - 50 multiple choice questions followed by a test of your hazard perception skills. Practical - general driving, an eyesight test and special exercises. Vehicle safety check - basic vehicle safety check questions requiring show and tell answers. 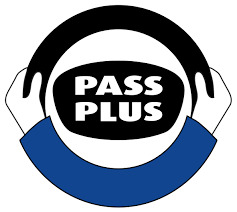 Going for Pass Plus means another step in getting that all-important extra experience and earning an insurance discount. The six specially designed driver training modules cover driving in town, out of town, in all weathers, at night, on dual carriage-ways and on motorways. And there is no test to take at the end of it. Probationary plates let other road users know that they might need to give you some more time and space. They are not compulsory but using P plates could make you feel more at ease. wearing a seatbelt - and making your passengers do the same. Young drivers, especially males, are more at risk from being involved in a car crash if their friends are in the car. So, is the driver trying to prove something (that he or she is a bad driver?) or are the friends making driving difficult? Whatever the reason, the consequences aren't worth it. It might be a good idea to choose your passengers carefully until you have a bit more driving experience. Sounds obvious, but the bad driver seems unable to do this. It is especially important if you are going somewhere new. Look at a map and try to work out how long it might take you to get there. Navigating your way along unfamiliar roads can be difficult for any driver. Driving to fast for the conditions is just bad driving - whether it's above the speed limit or not. Obvious things like wet weather make it difficult to stop. Skilled drivers also slow down in streets where pedestrians, particulary young children, are about. Even going a few miles per hour slower can make a real difference to the stopping distance. Remember - The faster the speed the greater the chance of serious injury. Passengers have rights, too. If you're not happy about the speed the driver is going, say so. A good driver does not make the passengers feel uncomfortable. Even one drink can affect your driving ability. It doesn't take much to get you over the legal limit and a drink driving conviction means a ban of at least 12 months. The conviction stays on your licence for 10 years from the time you get it back. Don't forget - after a night out drinking, you still might be affected or even be over the legal limit the next morning. Most people plan ahead for the night out and don't drive if they are going to drink. It's a good idea to let Des drive - anyone can be the Designated driver, as long as they don't drink. If you travel in someone else's car, make sure they stay off alcohol (your life is in their hands!). As a back up, make sure you've got the phone number for a taxi (and the money to pay for it). Different drugs have different effects and it's impossible to predict how each person will react. What is certain is that drugs and driving don't mix. Anything that distracts drivers and affects concentration is risky - not just for the driver but also for anyone that happens to be using the roads at the same time. ...but you will keep moving until you, too, are stopped - by the windscreen, dashboard, or pavement. So wearing a belt makes sense, as well as being a legal requirement for both drivers and passengers. It's now illegal to use a hand held mobile phone at any time when you are driving. That includes when you are stopped at traffic lights or in a traffic jam. You can only use a hands-free device if it is in a fixed cradle - but even these can be a dangerous distraction. If you have an accident when using a hands-free phone you can be prosecuted for careless driving. Keep them under control! Friends should understand if you ask them to stop messing around or keep the noise down as you try to concentrate at a difficult junction. Make sure any radio stations are pre-tuned so you're not twiddling while driving! Fighting off sleep when you're driving is not good for your health. Danger times are between midnight and 6am. If in doubt, stop and have a rest. One in five newly qualified drivers will have an accident within their first year on the road. Basically, young driver accidents are down to bad driving. Improving your decision making skills and judgement will make you a good driver and protect your passengers. Other road users will appreciate it too. Bad drivers earn licence-losing points! Get to 6 points in your first two years after passing the test and you will lose your licence. Then it's back to being a learner and having to take both tests again. That will affect your job, social life and make insurance very expensive. My name is Tony Byiast my Driving Academy is totally independent and as such I have to find all my own pupils. My work comes from recommendations, therefore I only get recommended by satisfied customers. I never have 2 pupils in the car at the same time. Pick up and drop off points can be arranged within reason i.e. college or work to home. When your children were young, it was easy for you to take total responsibility for their safety - especially in the car. When they start driving, they are taking responsibility for their own safety as well as the safety of their passengers and other road users. � More young men are being convicted of causing death or bodily harm on UK roads than ever before, with those aged 17-20 responsible for more than a quarter of offences. Over 60 times more young men than young women were convicted of the UK�s most serious offences in 2005 � causing death or bodily harm, and dangerous driving. Male drivers aged 17-20 were responsible for 1993 of the 6177 total convictions representing nearly a third of such convictions � despite representing only around 3% of the UK driving population. � Young drivers in Essex are nearly 4 times more likely to be responsible for road accidents than older drivers. � More accidents involve 18 year olds than any other single age group. � Driving too fast for the conditions is a factor in a quarter of all young driver accidents. Long before they are legally allowed to get behind the wheel, young drivers will be picking up driving habits from adult drivers. Some of these habits might be very positive - habits like wearing seat belts, switching the mobile phone off and spotting hazards in good time. They may also pick up less positive driving habits, such as inappropriate speed and inconsiderate and aggressive driving; habits that might put their lives at risk. Even without realising it, adult drivers, and especially parents, are the young driver�s first instructors. Some 17-year-olds can't wait to have their first lesson. Others might not want to learn to drive immediately. If they have sent off for a provisional licence, sorted out a driving school and can be seen reading a copy of the Highway Code, then you can probably assume that they're keen to get started. � Approved Driving Instructor (ADI) qualification; some instructors are not fully qualified; ask what grade they are 5 or 6 is good. Remember you get what you pay for; a �10 lesson might seem good value at the time. � and of course - cost! Learner drivers are rarely involved in a road crash because they are supervised and driving by the book. There is no set number of lessons needed for passing the driving test - every driver is different. It is also common for learner drivers not to pass the first time around. The instructor should know the right time for a learner driver to apply for the test. Pressure to take the test too soon will only make a learner driver feel stressed. All learner drivers will benefit from extra practice. This is a good way for parents to help by taking them out in the family car. Talk to the instructor about when you can start and what particular extra practice they need. It should be a linked learning process, not two separate activities that will just end up confusing the learner driver. Remember - your own car may be very different from the driving instructor's car. � The driving test has changed a lot within the last 10 years, so it might help you to read up on what they have to do. At least you will know what's involved and be in a better position to help them when they ask. � Ask to sit in the back of the car; a good instructor will welcome the chance to have you take an interest in the learning process. In a recent survey of young drivers, most said they would like ground rules to be developed with their parents. Here are some ideas for negotiating a safer driving agreement with your son or daughter. Some of the issues are not just about driving but involve general personal safety. � Do they really need to use the car? Consider what other transport options are available and whether driving is the best option. � Young drivers in Essex have more crashes late at night, maybe driving is inappropriate. � Agree that they should let you know where they're going and who they'll be with - friends can influence their safety. � Agree a limit on the number of passengers - especially when they are newly qualified. � Agree they will let you know if they are going to be later than expected. � a designated (non-drinking) driver will be agreed before going out with friends. Your responsibility is to sign up to the safer driving agreement yourself - because you never stop being a role model and it's difficult for a new driver to follow a 'do as I say, not as I do' rule. Together we can make the roads of Essex safer for our children.